Fearless commander Shawn actually suggested I add this to last week’s list of 5 Post Apocalyptic Role Playing Games, but I thought it was interesting enough to warrant its own post. 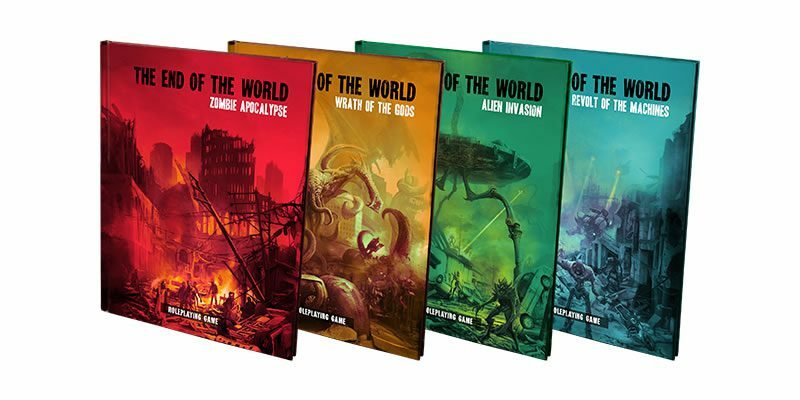 Fantasy Flight Games is in the process of releasing its ‘End of the World Line’ where they create a custom game/ruleset for several different apocalypses. 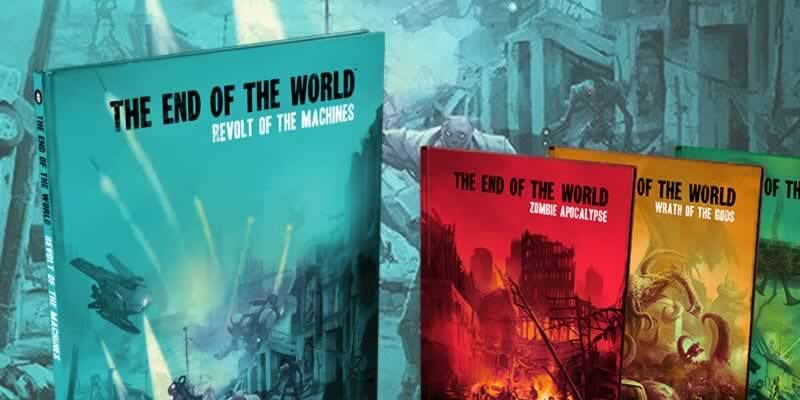 One has been released (Zombie Apocalypse) one is forthcoming (Wrath of the Gods) with two more planned (Alien Invasion and Revolt of the Machines). Whatever your preferred flavor of the apocalypse, they’ll have a sourcebook ready for you. What interests me about the series is it has a number of unique features. Besides covering a bunch of different flavors of apocalypse (which is itself a cool way to structure a product series), the End of the World Line also has rules to play as yourself (hypothetically so you could find out if you could survive whatever apocalypse). It also focuses intensely on the real and difficult struggle to acquire and sustain seemingly basic survival necessities, something I’ve mentioned should be an important part of survival flavored game. I just ordered my copy of ‘Zombie Apocalypse’ and I’m looking forward to checking out the other books as they come out. What do you think, do these sound like the kind of games you could get into? Check out the ‘End of the World’ line here.